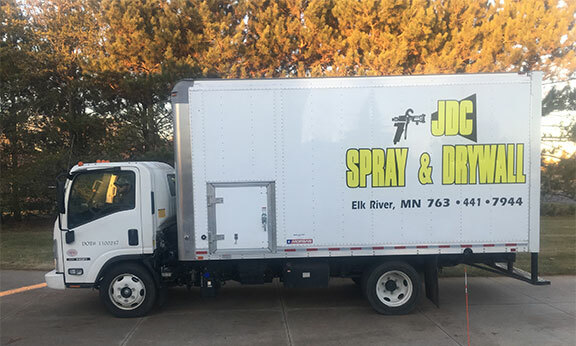 JDC Spray & Drywall Inc. was established in 1996 by John Casey after working 13 years in the drywall trades for various companies, while gaining more experience and knowledge along the way. John Started with one used spray truck and has grown into 3 well maintained trucks with a highly skilled workforce. JDC has also expanded into complete drywall finishes for new residential homes, basement finishes, and remodels, no job is too small. Unlike the bigger drywall companies, John chose to keep his business smaller so he can still have that one on one with all his clients. 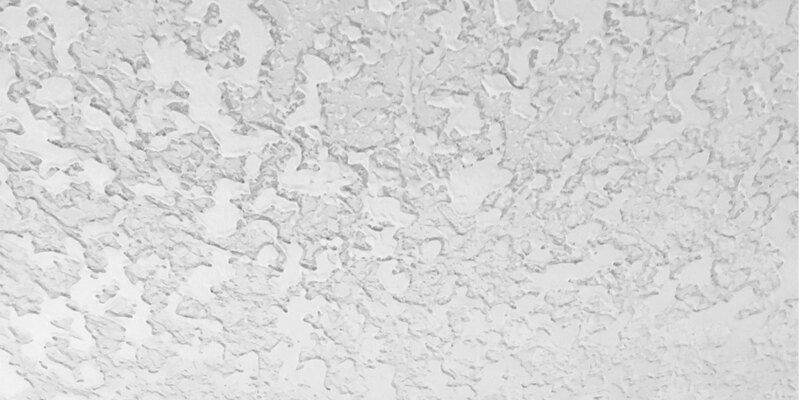 Homeowners have expressed interest in removing those outdated popcorn ceilings. 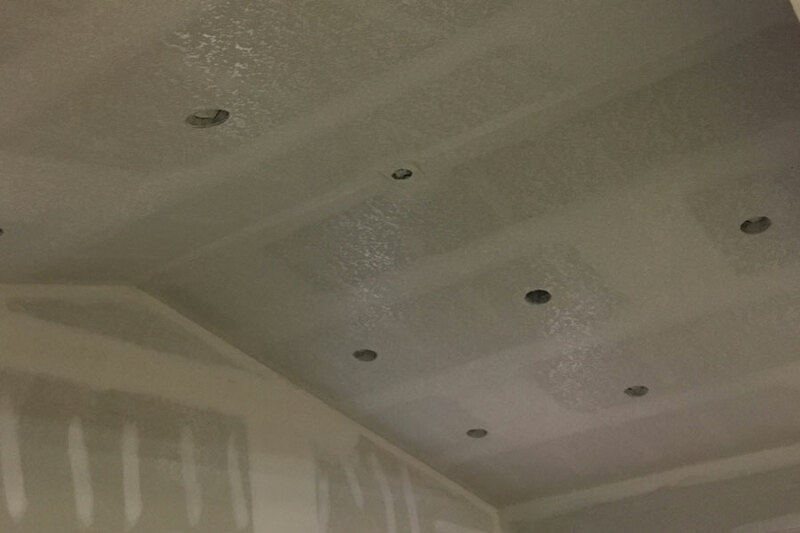 We offer complete ceiling conversions, changing the popcorn to most popular knockdown texture.We stress cleanliness, although it is a process all floors, light fixtures, furniture are covered to keep dust down to minimum. Popcorn: Although outdated we still apply this texture, it is a full coverage and is our cheapest if you are on a budget. Knockdown: This is a Spanish stucco type look, it can be done then painted, mostly white, but some people chose different colors to match a decor they are going with. 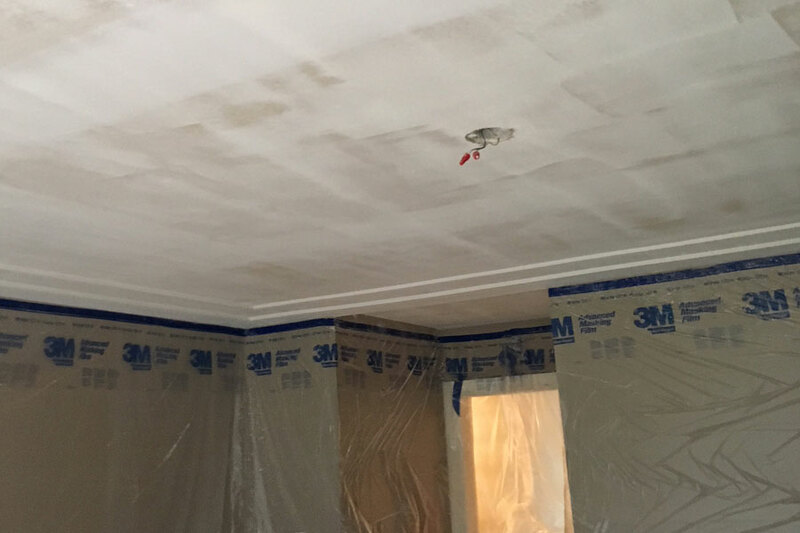 Fog/Knockdown: This is our most popular, and is a finished product when done, usually a two day process, first the fog which is a light coat of drywall compound which dries a solid white. Next day the knockdown, this is popular because you don't have to paint ceilings after. Orange Peel: Literally looks like the skin of an orange, we can do this texture either lightly or a little heavier, what ever you prefer. Crows Foot: This is close to a knockdown but a little more thinner and dense. It s a bit more time consuming and labor intense, we spray mud up stomp with a brush then trowel it out. Very nice look. Owner John Casey has been in the drywall trade for over 35 years. We do complete drywall services for new homes, remodels , and basement finishes. 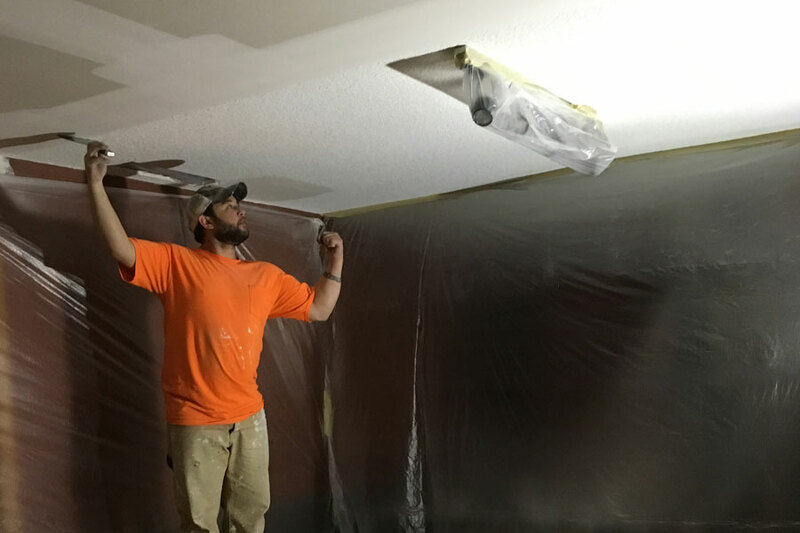 We also specialize in removal of popcorn ceilings to a now popular knockdown finish. No job is too small. We take pride on our service, we have a high rating with BBB and work directly with you to fit your needs and schedule. 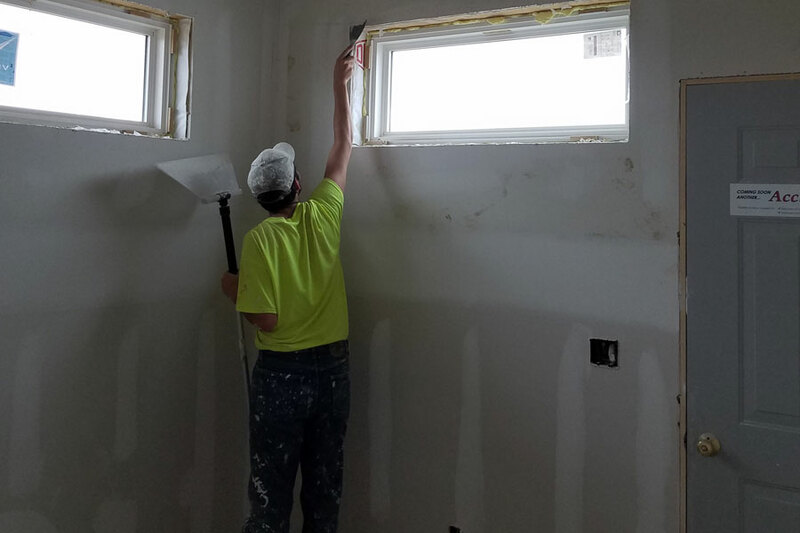 JDC Spray & Drywall has been in business since 1996 and have a skilled labor force who takes pride in there work. If your not happy we're not happy, and will complete every job until satisfied.